Cable drum racking or coil racking is the best way to store larger quantities of cable, pipe or other items that are stored on cable drums. 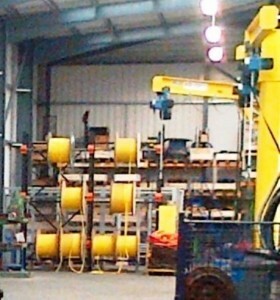 The cable drums are then placed on a spindle that protrudes from the racking frame. This is bolted to the uprights. These spindles or arms can be moved usually by unbolting and re-bolting. This allows for different sizes of cable or coil drums to be stored. Our Coil racking is supplied in single or double sided racks. Therefore this allows it to be accessed from a single side or both sides. Cable drum racking can be designed as individual bays, or a variety of multiple bays, or racking runs to provide you with the best storage options. Our racking systems are flexible so a single large drum can be stored. With the use of the associated coil rack products chocks and collars, cable can be unwound from the individual drums and lengths of cables safety removed. 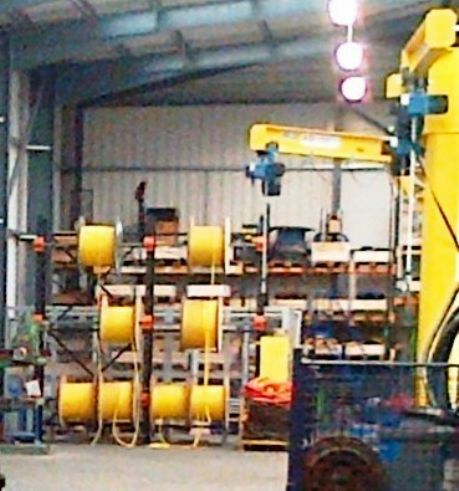 The use of these racks allows cable product or stock to be removed from valuable floor space and removes the opportunity for damage to valuable cable. The main advantage to cable drum racking is the floor space that it frees up usually cable drums are left on the floor and take up a large area of valuable floor space. With cable drum racking you also get the advantage of far better stock control. You can not only see what type of cable you have easier, but also when the drum is getting low on cable. This can save you from buying cable that you already have in stock or running out of cable because you have a drum that has less cable on it than you thought. 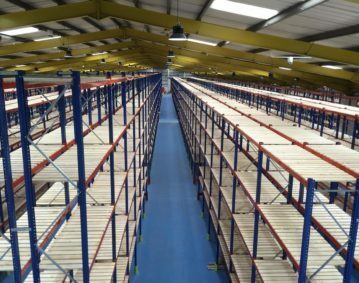 If you look at the cost of cable drum racking in terms of the floor space it saves, against the price per square foot you pay on your lease, as well as the better stock control of cable, the pay back can be less than 12 months.